Updates and Cakes and Beards. Hey everyone! Peterson here with an updates of sorts. I’M DONE and I have graduated. Somehow, I have found it difficult to remove myself from doing work. I guess after doing work for five months or so, it gets hard to take a break and feel like you don’t have to do anything. Even so, I am finishing up things that need to get done and I feel great. I just got back from Feed My Starving Children with my church, and it feels great. Helping those who need it is one of the greatest highs that I can think of. I love my church and the willingness that they feel to go out and help the helpless. It is truly how we should be spreading the word of God to others. This summer I will be working at Dickson Valley Camps as the Lead Counselor. It is a pretty big deal and I have been really blessed to have been given the position. I love working with kids and I think that being at the camp will be a great extension of those skills that God has placed inside of me. I can’t wait for this summer and all that it has in store for me. So, I have been eating a bunch of cake lately. Graduation cake, baptism cake, mothers day cake, more graduation cake. Cake is good, but as of this week I have learned that Not ALL cake is good. Lesson Learned. 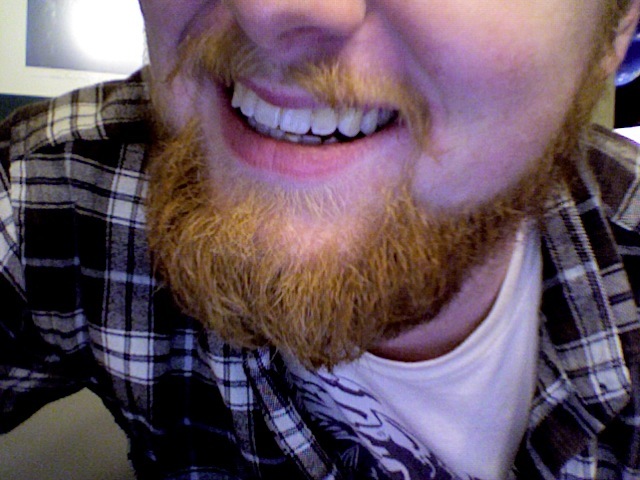 Also, I am five months in on my beard. Long Live The red Baron!